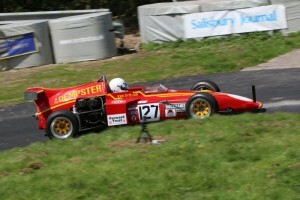 Gurston Down Speed Hill Climb hosted a weekend of record breaking motorsport. 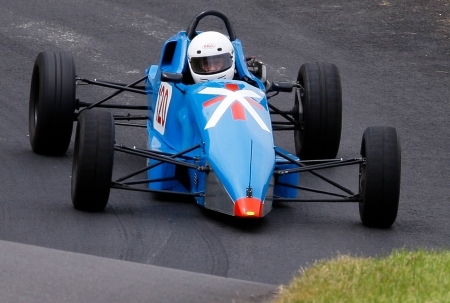 The BMTR Midland Hill Climb Championship and the TTC Group Top Ten Challenge were the visiting championship and we also ran a round of the Meadens Skoda Championship, the Cavendish Ships Store Top Ten and Gurston’s first Formula Ford Festival! Saturday practice was hot! And that wasn’t just the weather! The conditions were great and quite a few interesting times being posted suggesting Sunday’s competition runs were going to be record breakers! Sunday turned out to be cooler but that didn’t stop the times and records falling! Fastest Time of the Day (27.13s) and both of the Midland TTC Group Top Ten Challenge run-offs went to Alistair Crawford and his Gould GR55. Mark Crookall, the previous record holder in the MX5 Class brought a new Mazda MX5 but this time a MK2 RS model, he’d purchased earlier in the month. It paid off and he set another new Class Record to 41.01s. 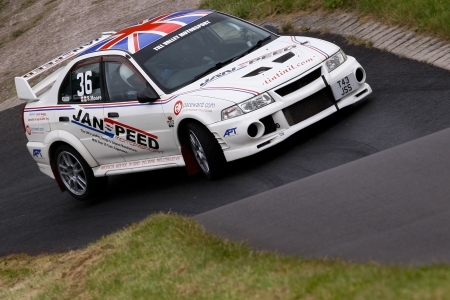 Stephen Moore’s first timed run in his Mitsubishi Evo, broke the Road Going Series Production Car Class over 2000cc reducing it to 33.31s! Simon Purcell in his super fast Lotus Exige broke the record he set last meeting in the Modified Limited Production Marque Sports Cars over 2000 cc. It now stands at 33.19s! 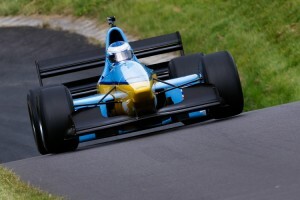 Gurston first Formula Ford Festival saw 15 drivers entered including Paul O’Neill, BTCC winner, British GT racer and ITV4 BTCC commentator in first first hillclimb event. But the victor was Simon McBeath in his Swift SC92F who broke the class record with an impressive 36.30s. The Formula Ford Festival was amazing, the first eight cars were separated by just one second! Nic Mann and the Mannic Beattie beat his own Sports Libre over 2000cc record with a 27.26s which was also second fastest time of the day! 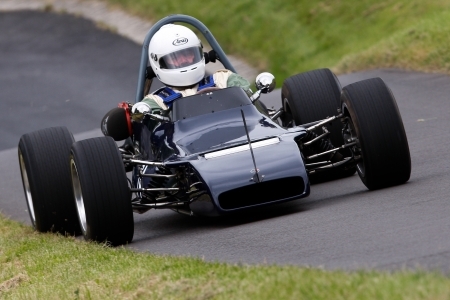 Richard Jones in his BT29X broke the Sports and Racing Car up to 1971 Class record with a 31.99s in his first timed run! 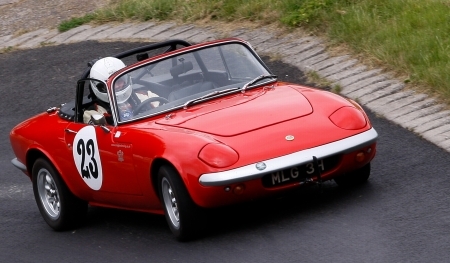 The meeting got under way with the B Licence Road Going Series Production Cars up to 2000cc class and was won with a stunning second timed run by Tim Forster in his beautiful Lotus Elan. His time of 37.27s was only one hundredth of a second behind the record set by the second place driver, Adam Greenen, at the last meeting! Next up were the A Licence Road Going Series Production Cars up to 2000cc class. 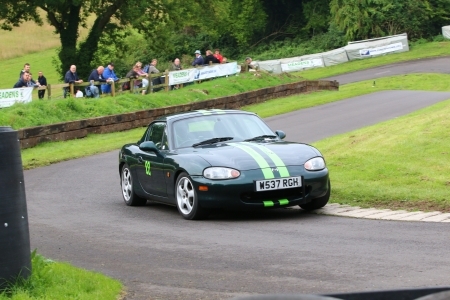 Won by Paul Webster in his Mazda MX5 “Stripy”. His time was 38.37s. Paul Dickinson and his Renault Clio with a 39.55s took second. It was a family affair in the B Licence Road Going Series Production Car over 2000cc class with Clive and Jennie Stangle’s Audi TT taking first (35.66s) and second (36.59s) respectively. A brace of Porsche Caymans were next, Andrew Thorp 40.20s, third and Kai Vaksdal fourth. 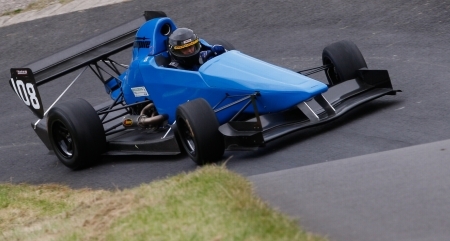 Stephen Moore’s brilliant run breaking the class record (33.31s) in the A Licence Road Going Series Production Car over 2000cc class has helped him in his challenge for the Gurston Down Championship this year. As he said it’ll be tough to better that time. 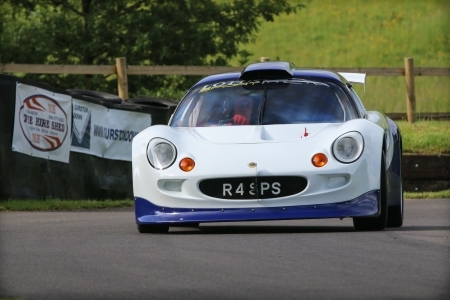 The B Licence Road Going Specialist Production Car Class saw Adrian Biggs and his Tiger Sports take the win with a second timed run of 42.34s with John Watson’s Lotus Elise narrowly beaten, finishing on 42.43s. The A Licence Road Going Specialist Production Car Class was won by Andrew Forsyth and his Westfield Megabusa with a 34.33s first timed run. 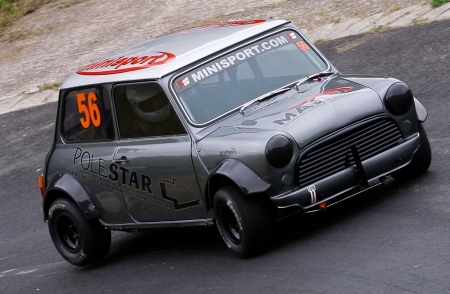 The Modified Series Production Car up to 1400cc Class was won by Neil Turner’s Mini Cooper S (35.72s) with James White and his Austin Mini second on 36.95s. 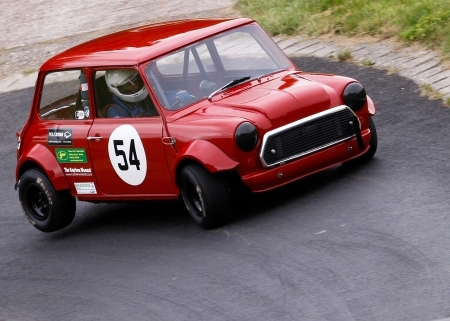 Richard Wood and his Yamaha Mini was the sole entrant so he took the Modified Series Mini Class. The Modified Series Production Car over 2000cc Class was won by the favourite, Mike Turpin in his Vauxhall VX220 with a 33.50s first timed run. Peter Turnball and his 911 GT3 couldn’t capitalise on Mike’s slower second timed run but finished in second on 34.46s. The Modified Specialist Production Car Class’s huge entry created a close battle between Mike Rudge and Ash Mason. Mike’s first run of 31.08s gave him the victory and Ash’s 31.24s run secured second. Third and fourth places were equally as tight. Martin Watson (Westfield) and Antony Orchard ended third and fourth respectively. The Historically Interesting Car Class has three beautifully presented cars, Fyrth Cross’s Dempster Ensign LNF3 was a non starter so it left Hugh Kemp and Geoff Hunt to fight it out. Hugh’s Palliser WDF3 overcame Geoff’s Lotus 22. 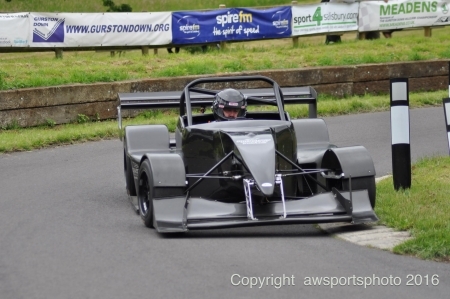 Derek Harris had the Hillclimb Super Sports Car Class to himself so ended both first and last on 37.32s. The Sports Libre Cars up to 2000cc Class saw Tim Pitfield in his DJ Firecat, take the win from Peter Steel and his Mallock. Only 0.40s separating them. Alexander De Vries’s 2CV suffered major mechanical issues before the event and Peter Sexton (Force LM) were both non-starters. A new class record was set by Nic Mann and the Mannic Beattie in the Libre Cars over 2000cc Class with a 27.26s second timed run. This time was also the second fastest time of the day! An absolutely stunning performance! 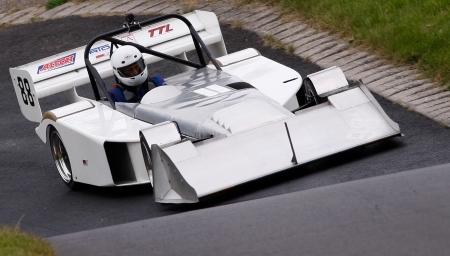 The Terrapin M41A of David Tatham took the Racing Car up to 600cc Class with 34.02s. The Racing Car 601cc to 1100cc Class had twenty drivers! James Moore’s Empire 00 won with a 30.33s timed run. Simon Andrews (OMS 28) and Mike Andrews (Force PC) were second and third respectively but were only separated by 0.01s. Simon Andrews finishing second on 30.73s. 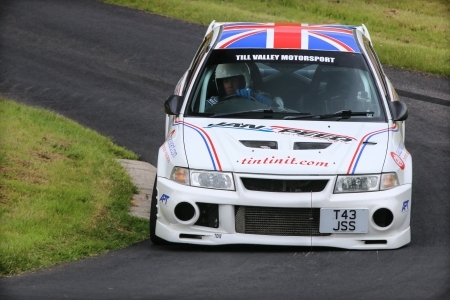 Paul O’Neill (ex BTCC, British GT and ITV Commentator) shared Mark Alley’s Swift FB91 in his first competitive hill climb. 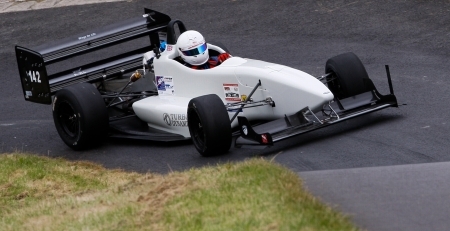 Paul was one of the fifteen drivers in the Formula Ford Car Class (up to 1600cc). The timed runs were close, Richard Summers looked like he had it in the bag with his second timed run at 36.80s. The next few cars came close, Nev Rollason, 36.97s then Russell Haynes 36.95s. Then it was Simon McBeath’s turn. He managed a new class record time of 36.30s. The last car up was Tony Wiltshire, he just couldn’t match Simon’s pace and ended third of 36.83s. Eight drivers were separated by just one second! 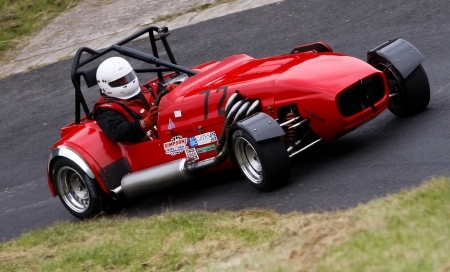 Ed Hollier and his Empire Evo, the favourites, took the Racing Car 1101cc to 1600cc Class with a 28.56s first timed run. His fantastic season continuing! Tina Hawkes (Force PC) was second on 29.46s. 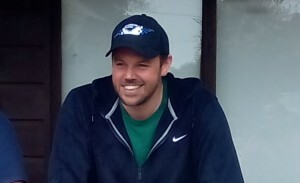 Pete Hammock broke his personal best three times in Saturday practice. Tim Davies with his Pilbeam MP88 won the Racing Car 1601cc to 2000cc Normally Aspirated Class with a 29.27s first timed run. The battle for second was close. 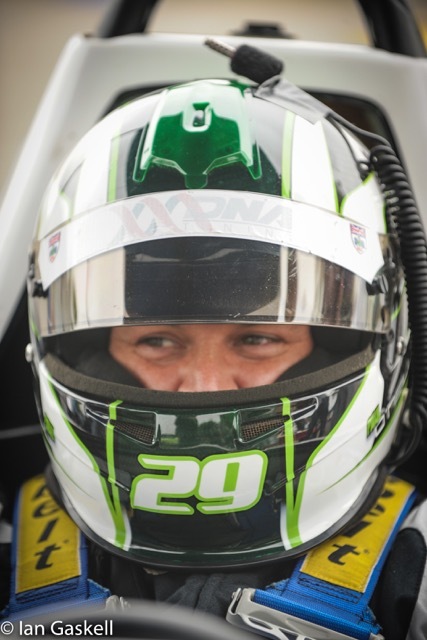 Tim Elmer (Dallara F303) just squeezed out Johnathan Varley (March 772P) with first timed runs of 30.06s and 30.09s respectively. 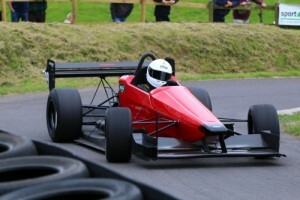 The Racing Car 1601cc to 2000cc Forced Induction Class saw Peter and Simon Marsh in their DJ Firehawk scrap for first. Peter ended up on top by just 0.17s. Peter finished on 28.22s and Simon on 28.39s. 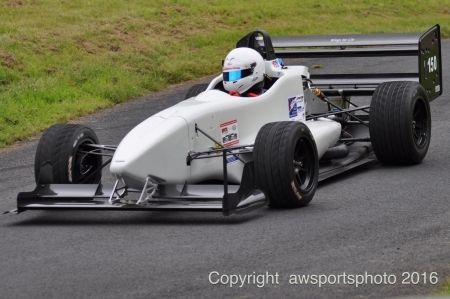 Alistair Crawford with his Gould GR55 took the Racing Car Over 2000cc Class and Fastest Time of the Day with a first timed run of 27.13s. Jason Mourant also in a Gould GR55 although with a different engine couldn’t quite catch Alistair. The Sports and Racing Car up to 1971 Class had three drivers in two stunning cars entered. 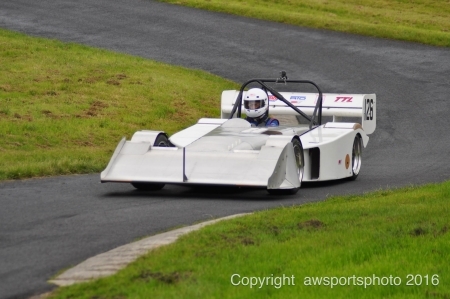 Richard Jones in the BT29X was on top form, beating the class record in the first timed run. The new record is now 31.99s! 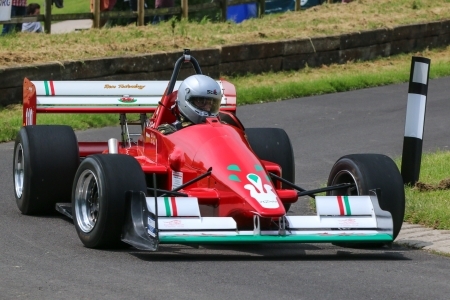 Stuart Ridge in his Pilbeam won the Sports and Racing Car up to 1985 Class with his first timed run at 31.34s. There were glorious sounds from Roger Dean’s 5000cc Lola T142 but no-one could match Stuart’s time. 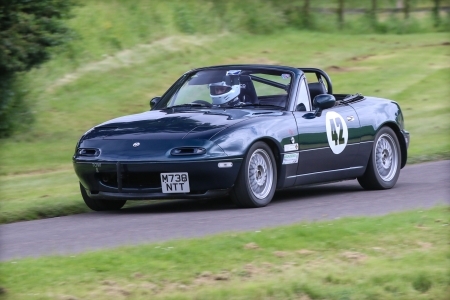 The MX5 Road Going Series Production Car Class looked like it would be a close battle between, Mark Crookall, who won the Tony Marsh Memorial Trophy in June, and his arch rival Dean Cubitt. Dean suffered electrical and fuelling problems in practice and was a non starter in the timed runs. Mark didn’t bring his usual Mk1 RS, earlier in the month he acquired a Mk2 RS which was faster. Mark ended on 41.01s setting another class record! 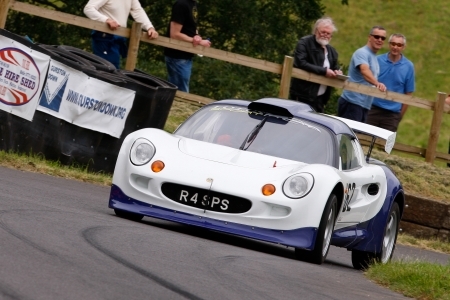 Graham Beale won the Modified Limited Production Marque Sports Car Class up to 2000cc in his Ginetta G20. He ended the day on 39.30s. 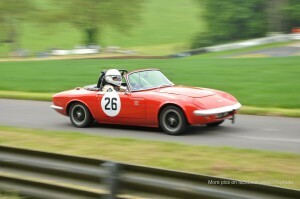 The Modified Limited Production Marque Sports Car Class over 2000cc saw Simon Purcell in stunning form again. He broke the class record again. His second timed run ended on 33.19s despite having a gearbox issues. 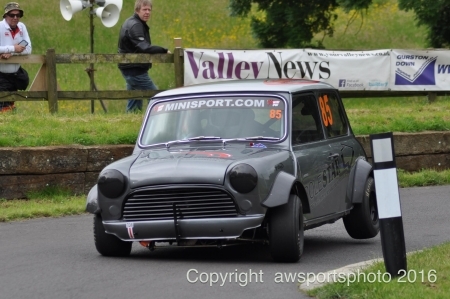 The Maguire Mini of Derek Kessell won the Downton Engineering Social Club (DEWS) Class seeing off Steve Harris’s Corsa. Derek’s time was 36.90s with Steve finishing on 39.35s. Many drivers had personal bests during the weekend too! Next Meeting: THE BRITISH ARE BACK! August 27th and 28th! Don’t miss it! 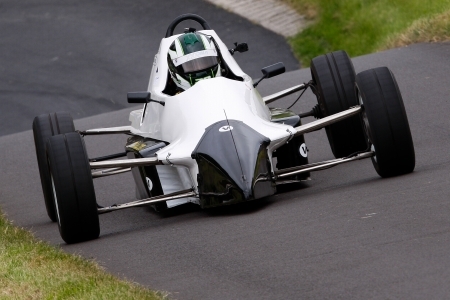 The BMTR Midland Hill Climb Championship and the TTC Group Top Ten Challenge were the visiting championship and we also ran a round of the Meadens Skoda Championship and the Cavendish Ships Store Top Ten and Gurston’s first Formula Ford Festival! Fastest Time of the Day (27.13s) and both Run-off went to Alistair Crawford and is Gould GR55. 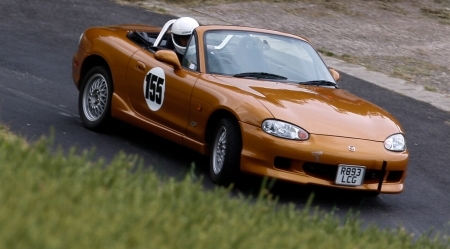 Mark Crookall, the previous record holder in the MX5 Class reduced the Class Record to 41.01s. 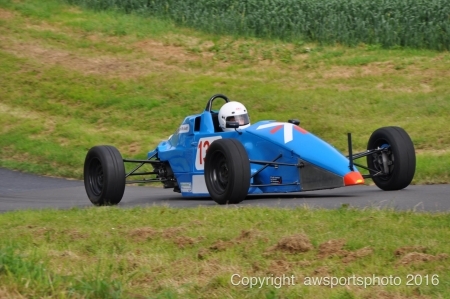 Simon McBeath in his Swift SC92F won the Formula Ford Class with a record breaking 36.30s. The Formula Ford Festival was amazing, the first eight cars were separated by less than one second! A full report of the meeting will be released later this week. 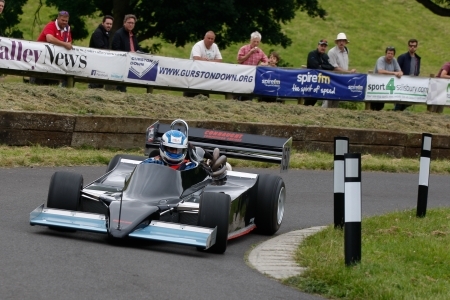 Gurston Down Speed Hill Climb hosts a weekend of great motorsport. Not only is it a round of the Meadens Skoda Championship and the Cavendish Ships Store Top Ten. 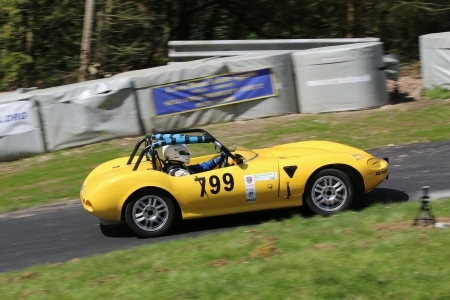 We will also be hosting the BMTR Midland Hill Climb Championship and the TTC Group Top Ten Challenge which includes a run-off at the end of each timed runs! 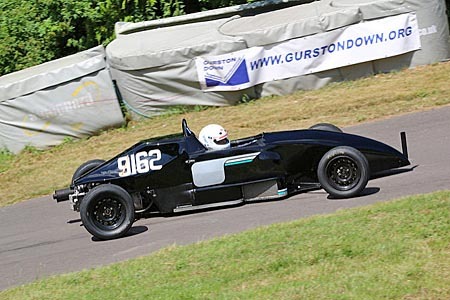 And Gurston’s first Formula Ford Festival! 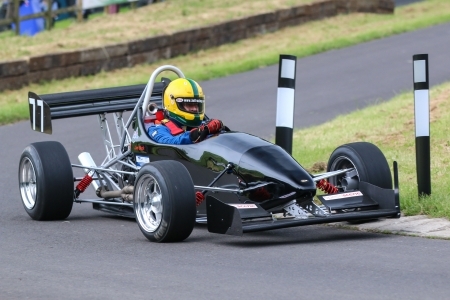 Our first Formula Ford Festival sees 15 Formula Fords entered in the Formula Ford class! 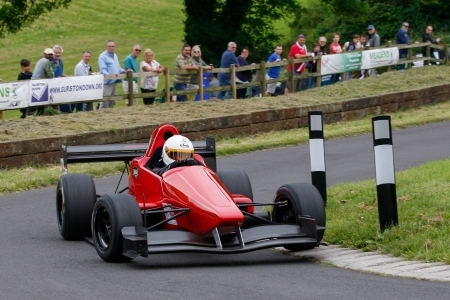 Paul O’Neill (Ex-BTCC, British GT driver and ITV4 BTCC commentator) competes in his first competitive hill climb after coming to the May Hill Climb School! He’ll be sharing Mark Alley’s Swift FB91. Around 140 cars and drivers will compete in road-cars, specially prepared hill climb cars, spectacular sport and racing cars. 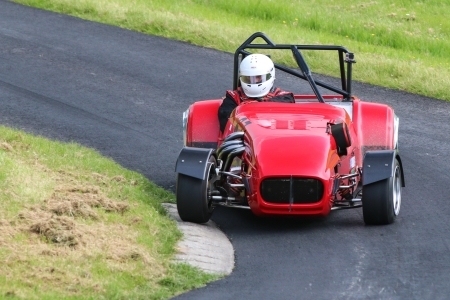 They will all face the challenge of the legendary 12 feet wide fast and twisty course at Wiltshire’s famous Speed Hill Climb Venue, Gurston Down. With unrivalled access to the hill, paddock, cars, drivers and facilities available to our spectators, the weekend promises to be a spectacle of speed and sound. Gurston Down has excellent catering and refreshments on site too! The Road Going Series Production car classes are split into two for this event. The drivers licence grade determining the class. The Road Going Series Production Car Class up to 2000cc (B Licence) has the current class record holder Adam Greenen in that super swift Honda Civic Type R. Tim Forster (Lotus Elan), Daniel Clazey (Ford Puma), Kevin Thomas (Clio 172 Cup) and the Ford Fiesta of Alex England will have to fight hard for second. 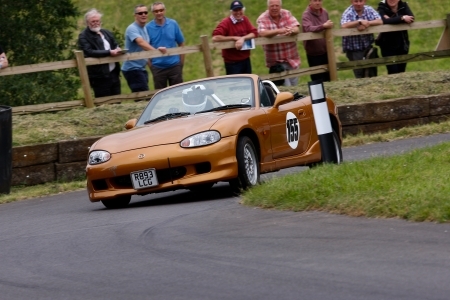 The Road Going Series Production Car Class up to 2000cc (A Licence) sees Paul Webster (Mazda MX5) as the likely winner. Although Ken Williams (Lotus Elise) might well make Paul’s work for the win. The Road Going Series Production Car Class over 2000cc (B Licence) should be interesting, Clive and Jennie Stangle’s and their Audi TT are favourites but with Andrew Thorp and his Porsche Cayman it might not be plain sailing. 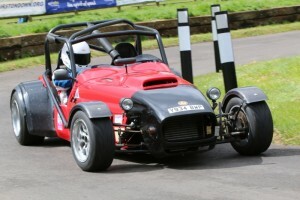 The Road Going Series Production Car Class over 2000cc (A Licence) has just two entrants. 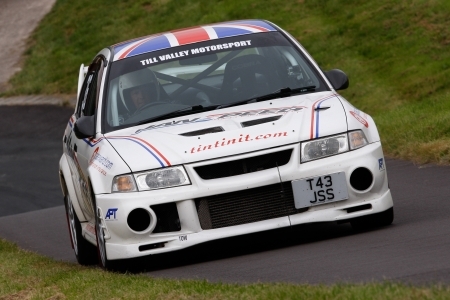 Stephen Moore, the 2015 Gurston Down Champion, (Mitsubishi Evo 6) and another Evo 6 driven by Paul Harris. Based on current form, Stephen should grab the win. 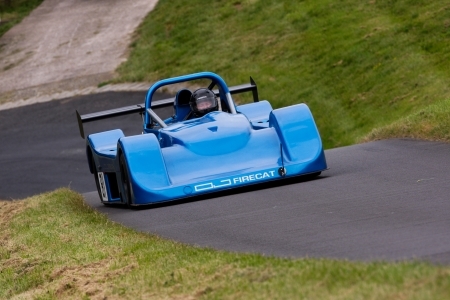 The Road Going Specialist Production Car Class (B Licence) has five entrants. Jerry Neary’s Westfield Sei, Adrian Biggs’ Tiger Sports and Mark Parrett’s Autotune Gemini could be the winner here. This one really will be one decided on the day. 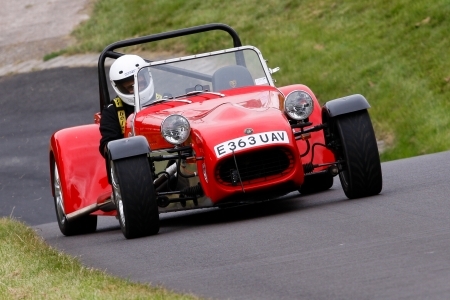 The Road Going Specialist Production Car Class (A Licence) has two Gurston regulars, Andrew Forsyth and Adrian Lewis in their Westfield’s up against Raymond Lohr and Joy Hoyle in their Caterham’s won’t be afraid to fight for the win and the points that go with that! 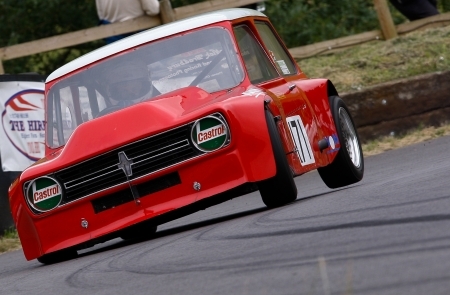 The Modified Series Production Car over 2000cc Class has three fabulous entries. 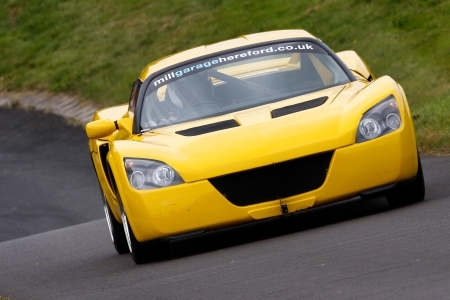 The favourite is Mike Turpin in his Vauxhall VX220, which is quick. 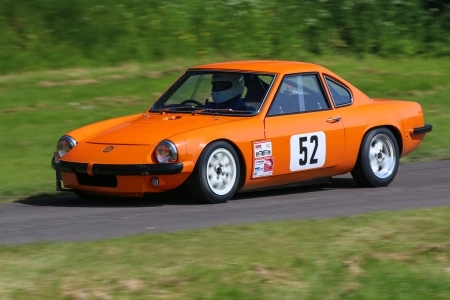 The TR7 V8 of Nigel Elliott and Peter Turnball’s 911 GT3 will be chasing all the way to the line. The Modified Specialist Production Car Class has a huge entry, twelve drivers all in very different cars. Mike Rudge, Antony Orchard and Richie Gatt should be the front runners. But no-one can predict this class, it’s so competitive and always close. 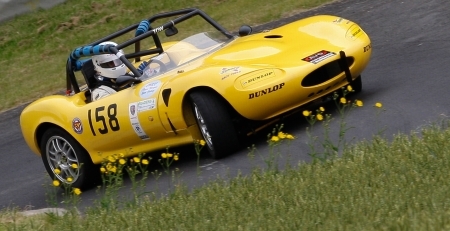 The Historically Interesting Car Class has three beautifully presented cars, Fyrth Cross and the Dempster Ensign LNF3, Geoff Hunt’s Lotus 22 and Hugh Kemp’s Palliser WDF3. Fyrth has the form but in June it didn’t go all his way. Derek Harris has the Hillclimb Super Sports Car Class to himself. So Derek will be chasing his personal best and the class record. The Sports Libre Cars up to 2000cc Class has the BMW engined Citroen 2CV of Alexander De Vries up against a mountain of competition! Peter Sexton with the Force LM and Tim Pitfield (DJ Firecat) should be the top two in this class. The Sports Libre Cars over 2000cc Class pits Nic Mann and his Mannic Beattie against Chris Cannell and Sue Hayes’s Force SR8, Keith Diggle’s WEV HCS, Geoff Tremlow’s Saker GT and Paul Punnett’s 6R4 Replica. The Manic Beattie is the likely victor here. The Racing Car up to 600cc Class sees three drivers. These small and light 600cc cars are always great to watch. Will David Cuff, Les Buck or David Tatham take the honours? The Racing Car 601cc to 1100cc Class has twenty drivers! Simon Fidoe is having a pretty good season and is “in form”. But there’s no way you can discount any of the other drivers. Last time, the top nine in this class were separated by just 1.5s! 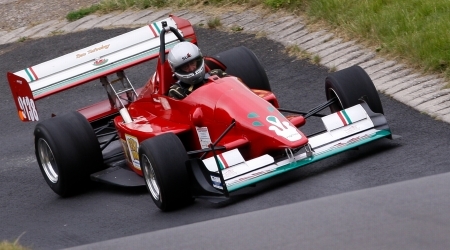 The Formula Ford Car Class (up to 1600cc) has fifteen drivers entered. Roger Moran, the British Hill Climb Champion in 1997, shares a Swift FB91 with Sam Lester, Shaun Macklin, who’s best time in 2006 is 0.9s under the current class record and Paul O’Neill (ex BTCC) sharing Mark Alley’s similar Swift FB91 won’t have an easy time with both Simon McBeath and Tony Wiltshire running their Swifts. Who will win? Your guess is as good as ours! 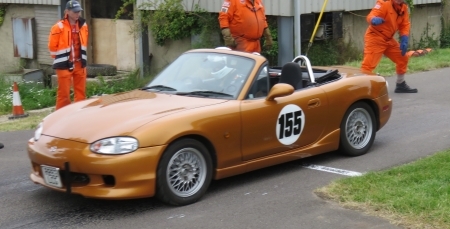 The Racing Car 1101cc to 1600cc Class has nine entrants. The favourite has to be Ed Hollier who by all accounts is having a fantastic season! 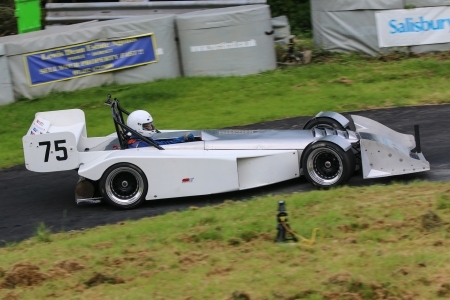 He’s currently seventh in the British Hill Climb Championship! We mustn’t discount anyone else but they will have an uphill battle to win this class! 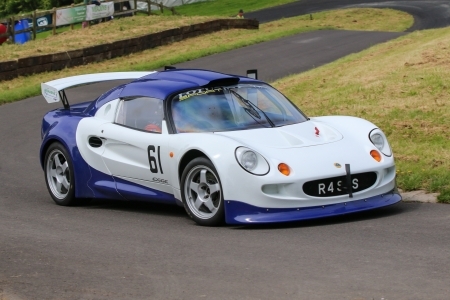 The Racing Car 1601cc to 2000cc Normally Aspirated Class has another great entry. Tim Elmer (Dallara F303), Tim Davies (Pilbeam MP88) and Terry Davies (OMS CF09 TKD) are all front runners here. This class will be decided by each driver’s performance on the day. The Racing Car Over 2000cc Class has just two entries. Jason Mourant and Alistair Crawford both running Gould GR55 although with different power should another great entry. 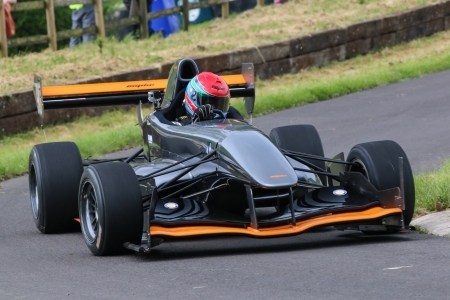 Jason should be back after an off at Loton Park last month and Alistair hasn’t competed much this season so it will be good to see them both back! 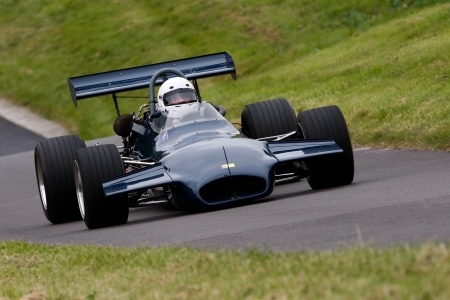 The Sports and Racing Car up to 1971 Class has three drivers in two stunning cars entered. The Chevron B19 of Amanda and Richard George, and Brabham BT29X of Richard Jones are both gorgeous. No idea who will win. The Sports and Racing Car up to 1985 Class brings more stunning cars out! The sound of Roger Dean’s 5000cc Lola T142 will get your attention every time it runs. If sound decided the win, then the Lola would have it. 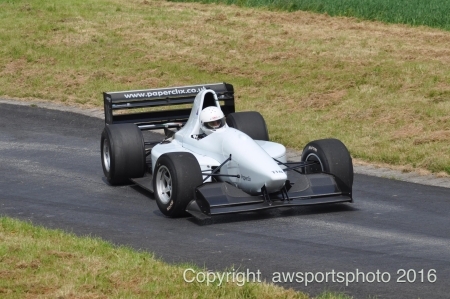 But, based on previous form, the win will probably be Stuart Ridge in his Pilbeam. 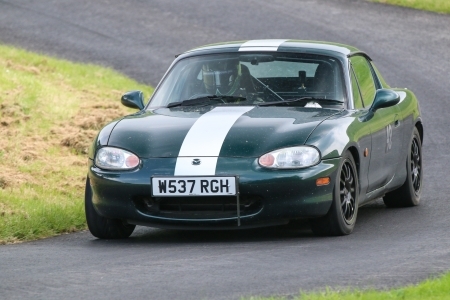 The MX5 Road Going Series Production Car Class has another good entry. Mark Crookall, who won the Tony Marsh Memorial Trophy in June, has his arch rival Dean Cubitt back from holiday! Nick Revels might be a threat, if he remembers to run his List 1B tyres this weekend. The Modified Limited Production Marque Sports Car Class up to 2000cc sees Dee Stapley and her MGF up against Graham Beale’s Ginetta G20. Dee will probably be wishing the 64 feet time dictated the result but it doesn’t. The Modified Limited Production Marque Sports Car Class over 2000cc sees Simon Purcell, the leader in the Gurston Down Championship and class record holder go up against the TVR Griffith of Steve Holley and the Datsun 240z of Steph Colvin and Hannah Stapley. Simon should take this class. The Downton Engineering Social Club (DEWS) Class sees some great Minis and a few other cars entered. It’s probably going to be between Steve Harris’s Corsa and the Maguire Mini of Derek Kessell. 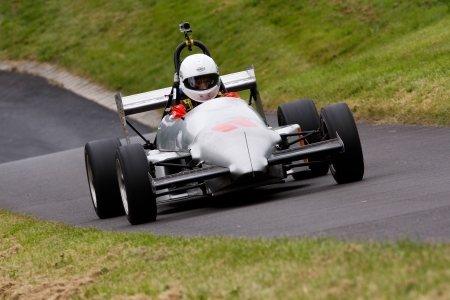 It’ll be another exciting weekend of Motorsport at Gurston Down Speed Hill Climb! Times: Saturday Practice from 0830 until 1500 approx. Sunday 0830 Final Practice then timed runs from approx 1030, followed by first timed runs, then lunch and final timed runs from 13:00.